They say the best wines are the ones we drink with friends, and here in Loudoun we think the same goes for tasting at our wineries. The wines from our region are best enjoyed with music, history, and some very fine dining, but why not take an opportunity to make friends with the winemakers too? This summer, get to know your wine’s personality a little better by sipping alongside its maker. Learn about the vineyard’s history, its evolution, how long it took to get perfectly balanced, and maybe even a few other secrets the glass isn’t telling you. Here are three of our favorite spots to get to know your wine directly from the family who produced it. 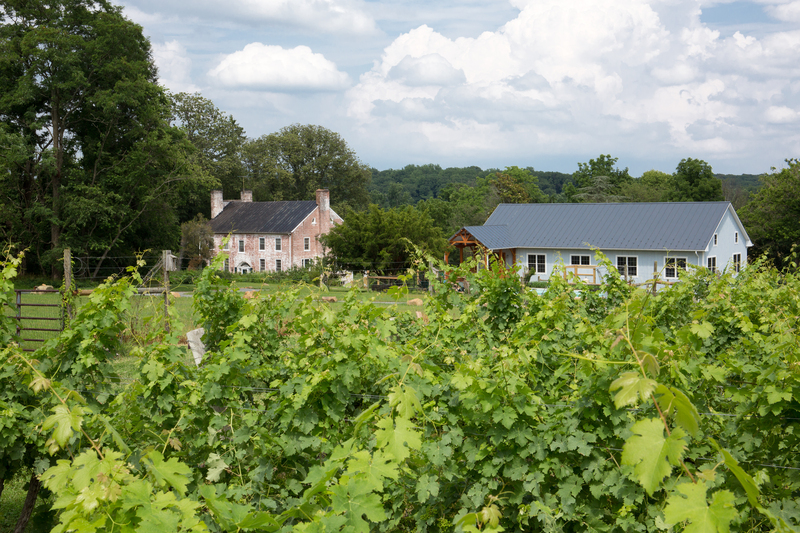 At Zephaniah Farm Vineyard in Leesburg, the Hatch family has farmed their land across three generations and nearly 70 years. It’s safe to say they know what they’re doing. Have a rest in the garden, take a wander through the vineyard, and then enjoy tasting its yield. The Hatch family loves to teach guests about their wine and wants you to feel at home every time you visit, especially while in the seated tasting room, the actual family’s living room that dates back to the 1820s. Just over in Waterford, The family and staff at 8 Chains North pride themselves on giving customers the ultimate farm winery experience, right down to the old barn that hosts the tasting room. 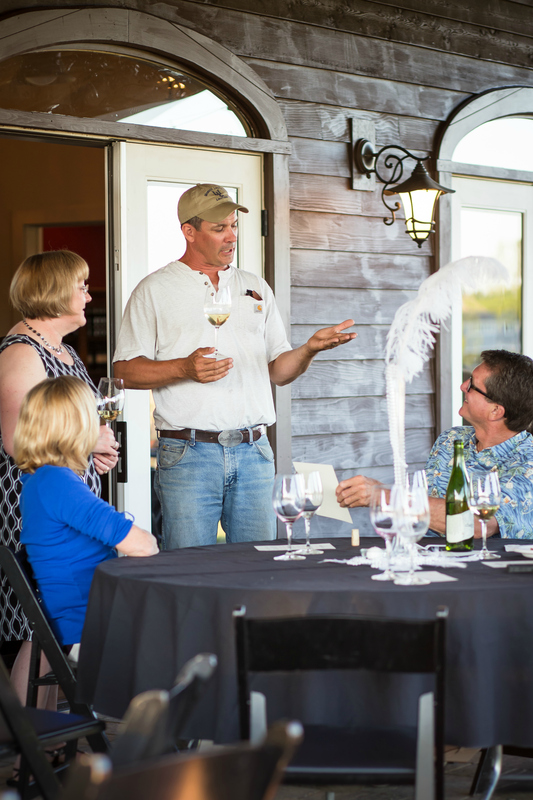 Owner Ben Renshaw established 8 Chains North to embody the true spirit of a Virginia boutique winery, and somehow finds time to manage about 85 acres of vines across Loudoun County. We love enjoying a glass of old-world style wine on the covered patio overlooking the Waterford vineyard. Dogs are also welcome at 8 Chains North, getting to run around and enjoy their own designated off-leash spot. 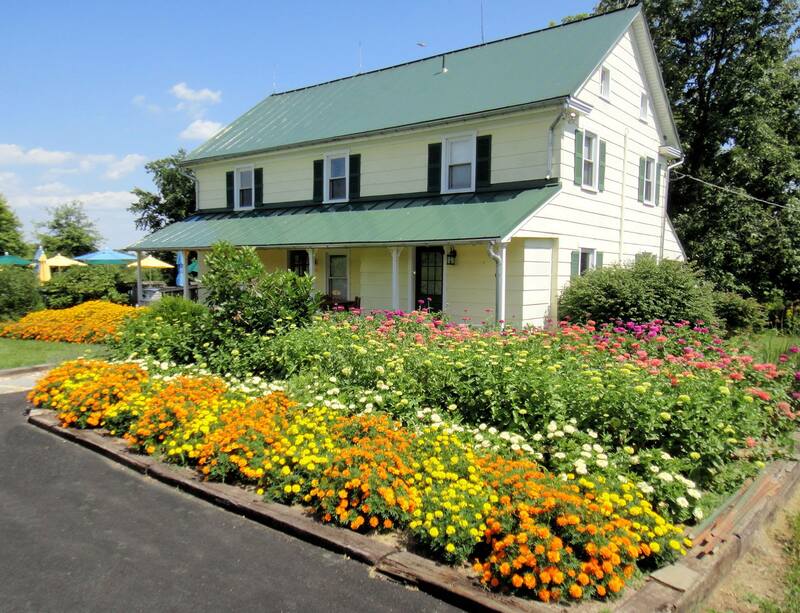 Down the road in Lovettsville, Hiddencroft Vineyards’ charm comes from a combination of the surrounding flower gardens, butterflies, nearby orchard, and 1830s farmhouse tasting room. Owners Clyde and Terry Housel started producing wine here in 2008 (planting in 2001) after deciding a career change would do themselves good. Winemaker Clyde is largely self-taught and focuses on creating approachable, very drinkable wines. Summer and winter are equally enjoyable at Hiddencroft, with tastings often taking place in a charming 1930s era barn during the summer, and an outdoor fire pit providing warmth and ambience during the colder months. Adding one of these boutique wineries to your tasting itinerary? Make sure to share your photos with #FindYourVine for a chance to win great prizes!